The Albemarle County Planning Commission got a history lesson at their retreat on December 16, 2008. David Benish, the County’s Chief Planner, traced the evolution of the Comprehensive Plan. Benish said the County’s growth management policy stems from the adoption of the first plan in 1971. At that time, the County's growth area was split into 11 separate zones. In his 30 minute presentation, Benish explained the reasons for the various updates that have been conducted over the years. For instance, the Plan was updated in 1977 in part to address the rapid siltation that was occurring at the South Fork Rivanna Reservoir. That was followed in 1980 by the so-called "great rezoning" that further refined the County’s urban zoning districts and downzoned the rural area. Though the downzoning of the rural area was challenged in court, the County eventually prevailed. In 1982, the growth area boundaries were adjusted to follow the water supply watershed, except in Crozet, Ivy and Earlysville. While various parts of the Comprehensive Plan come up for renewal and revisions on a periodic basis, the County is currently operating under the 1996-2016 Comprehensive Plan, which identified infill development as one of the County’s planning goals. In 1996, according to Benish, a divided Planning Commission recommended a slight expansion of the growth area. However, the Board of Supervisors did not support the expansion and instead directed staff to find ways to encourage more efficient development in the designated growth areas. That request would eventually lead to the adoption of the Neighborhood Model District, which allows for denser residential development. On October 11, 2011, the Albemarle Planning Commission voted 4-2 to end requests to expand the county’s designated growth areas as part of the Comprehensive Plan review. On July 30, 2013, the Albemarle Planning Commission voted unanimously to conclude its review of the Comprehensive Plan and send its revisions to the Albemarle Board of Supervisors. The commission had conducted over 38 public meetings and work sessions to review three different drafts of the plan. The changes the commission recommended included a new Southern and Western Neighborhoods Master Plan, reformed affordable housing and cash proffer policies, a greater number of land uses and activities (such as farm winery events) allowed in the rural area, and greater provision for agricultural and food processing at rural interstate interchanges. The commission also consolidated the plan to approximately half its former length. When the Neighborhood Model District was adopted in 2001, it was recommended that all of the 11 designated growth areas be master planned. So far, four plans have been adopted. Places29 - Neighborhood 1, Neighborhood 2, Community of Hollymead, Community of Piney Mountain. Adopted February 2011. Pantops Master Plan - Neighborhood 3. Adopted March 2008. Crozet Master Plan. Adopted 2004, 5-year review conducted. Adopted October 13, 2010. Southern and Western Neighborhoods Master Plan - Neighborhood 4, Neighborhood 5, Neighborhood 6, Neighborhood 7. Under review in 2013. Village of Rivanna. Adopted May 2010. ↑ Web. Supervisors adopt Comprehensive Plan after four years of study, Sean Tubbs, Charlottesville Tomorrow, June 11, 2015, retrieved June 27, 2015. ↑ Web. City and county planning commission talk coordination, sustainability, Sean Tubbs, Charlottesville Tomorrow, March 29, 2011, retrieved March 30, 2011. ↑ Web. Large turnout for kickoff of local planning effort, Brian Wheeler, Charlottesville Tomorrow, April 28, 2011, retrieved April 28, 2011. ↑ Web. Albemarle’s Comprehensive Plan update clears the Planning Commission, Claudia Elzey, Charlottesville Tomorrow, 31 July 2013, retrieved 1 Aug 2013. ↑ Web. Places 29 Master Plan, County of Albemarle, 2 Feb 2011, retrieved 1 Aug 2013. ↑ Web. 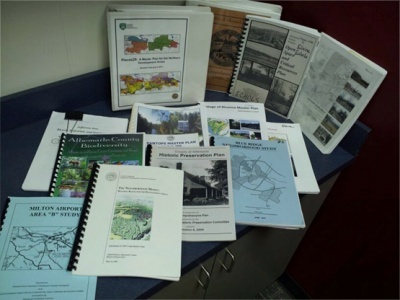 Pantops Master Plan, County of Albemarle, 17 Mar 2008, retrieved 1 Aug 2013. ↑ Web. Crozet Master Plan, County of Albemarle, 13 Oct 2010, retrieved 1 Aug 2013. ↑ Web. Southern and Western Neighborhoods Master Plan Draft, County of Albemarle, 23 July 2013, retrieved 1 Aug 2013. ↑ Web. Village of Rivanna Master Plan, County of Albemarle, 12 may 2010, retrieved 1 Aug 2013. This page was last edited on 27 June 2015, at 15:39.